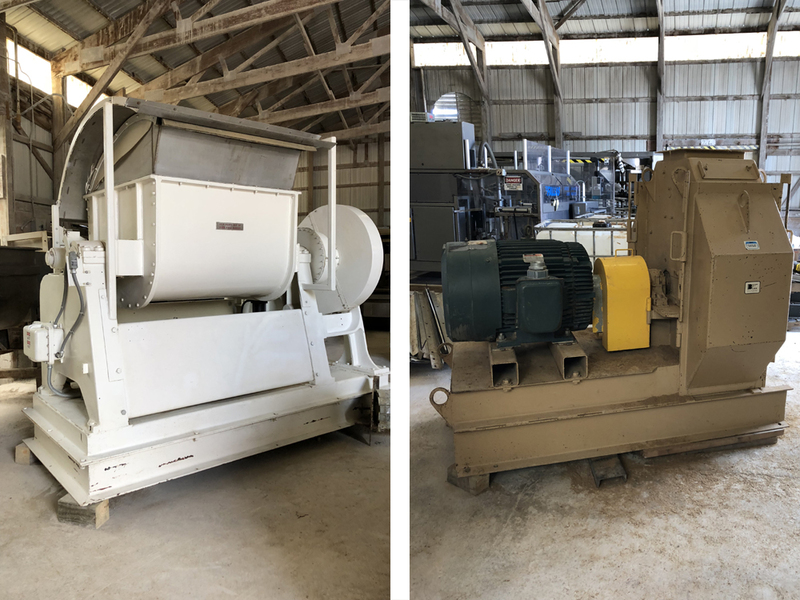 Surplus Equipment to the Continuing Operations of Midwestern Pet Foods consisting of: Paddle Blenders, Ribbon Blenders, Mixers, Hammer Mills, Shredders, Kettles, Generator, Case Erectors, Case Packers, Box Tapers, Tray Formers, Fillers, Conveyors, Storevetors, Feeders, Bins and more! 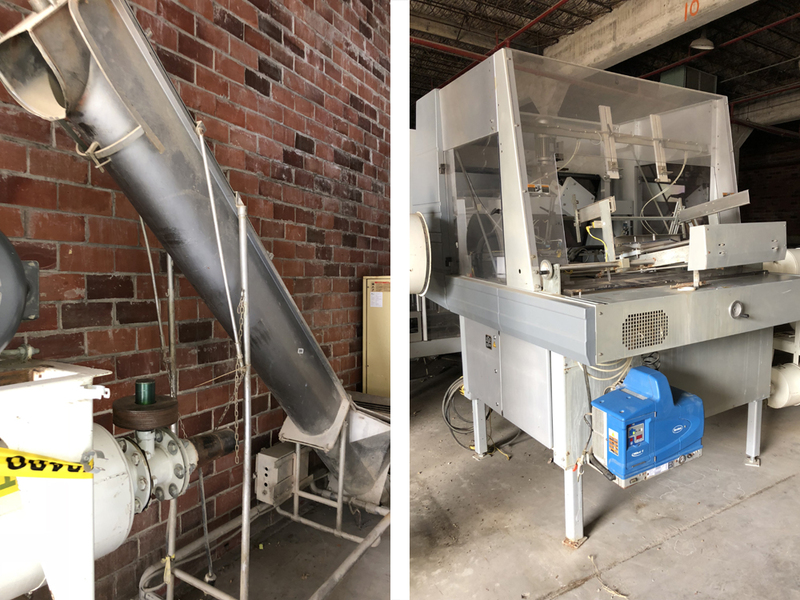 Used- Casa Herrera Tortilla Line. 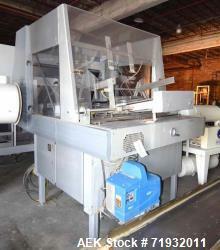 Used- Casa Herrera Tortilla Line. 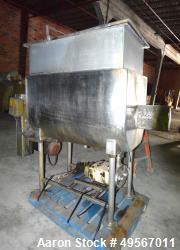 Consisting of: (1) Casa Herrera Mach 4 (3) pass gas oven, 1,200,000 btu/hr. 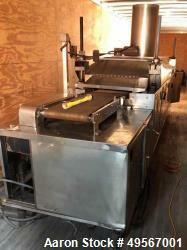 Approximate 18" wide x 14' long, 16" wide top infeed belt end counterweight system, motorized oven hood lift. Serial# 14820793. 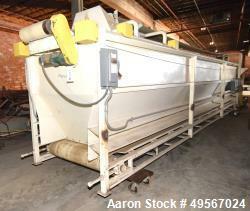 (2) 5 Pass wire mesh belt and plastic belt cooling conveyors, approximate 36" wide. 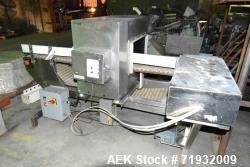 Used- Cooling Conveyor. 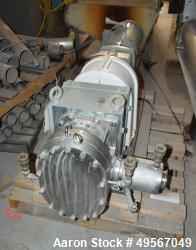 Approximate 18" wide x 316" long plastic belt, driven by a 1hp, 3/60/208-230/460 volt, 1155 rpm gear motor. 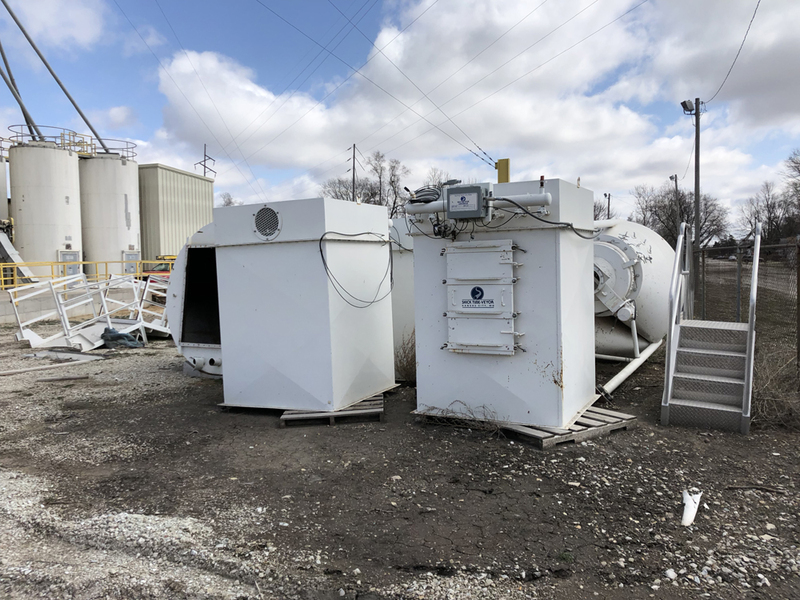 Stainless steel housing with bottom air entry (no blowers) and top cover with access doors. Mounted on a stainless steel frame. No manufacturers tag. 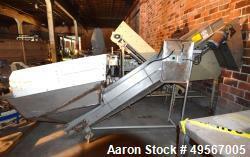 Used- Inclined Rubber Belt Conveyor. Approximate 12" wide x 108" long pleated belt with 24" long x 2" tall pockets. 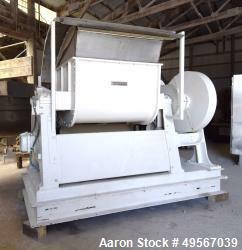 48" Long x 48" wide stainless steel bottom feed hopper, top end discharge chute, approximate 70" discharge height. Driven by an approximate 1hp gear motor. Mounted on a stainless steel frame. 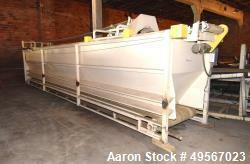 Used- Eriez Vibrating Conveyor, Model VMC-30, Style 200707403. 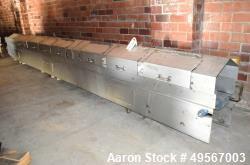 Stainless steel pan approximate 30" wide x 108" long x 8" tall sides. Mounted on a carbon steel frame. Serial# 191228, built 2007. 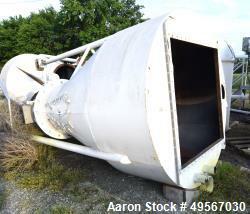 Used- Store-Veyor Belt Accumulator, Approximate 33' Long, Carbon Steel. Bottom belt approximate 84" wide x 30' long. 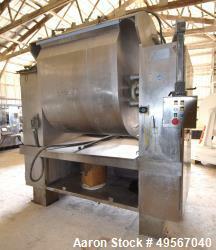 Top feed & distribution belt approximate 18" wide with a Bryant telescoper, model 250-12-WS-DP. Carbon steel sides and frame. 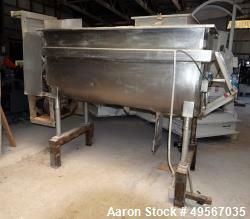 Used- Shaffer Single Arm Dough Mixer, Model 7-RD, Approximate 1700 Pound Capacity (43 Cubic Feet), Stainless Steel. Jacketed bowl approximate 51" long x 54" wide. With (1) sigma blade, top canopy with charge opening. Driven by an approximate 50hp motor. Includes a control panel. 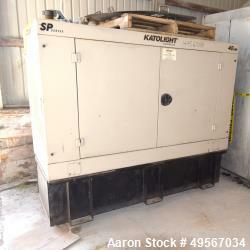 Serial# 0993212. 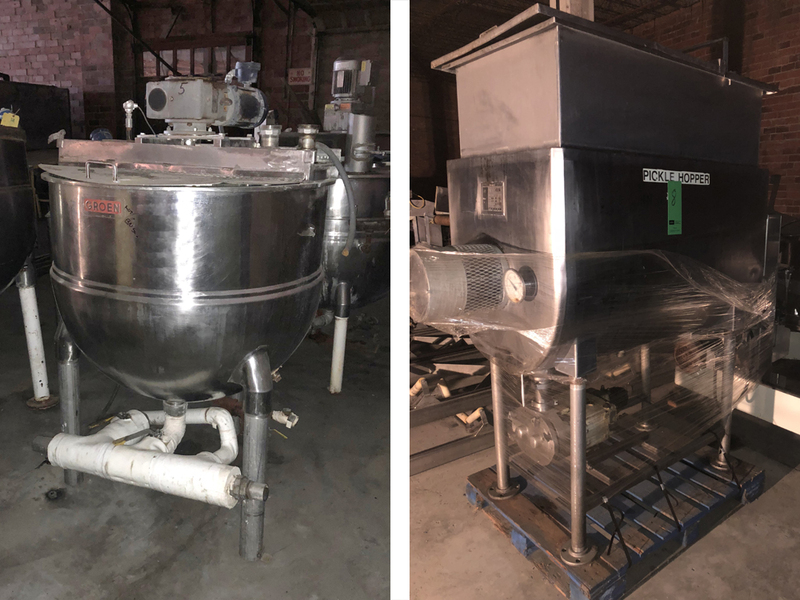 Used- AMF Readco Single Arm Dough Mixer, Model 21DC, Approximate 1300 Pound Capacity (42 Cubic Feet), Stainless Steel. Non-jacketed bowl approximate 48" long x 42" wide. With (1) dual winged blade, top canopy with charge opening. Driven by an approximate 50hp motor. Includes a control panel. Serial# 13555. 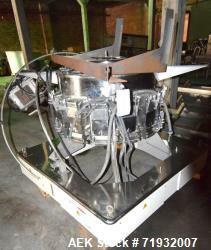 Used- Hosokawa Bepex Form Press, Model FP 3-250. Triple drive designed for 3 products. Top infeed with hopper. Last used with forming die set up for filled fig type bars. Serial# 52-289. 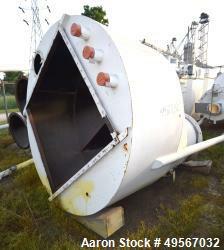 Built 2000. 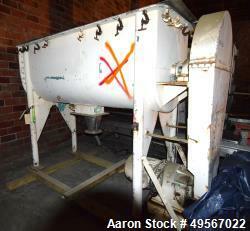 Used- Arcall Coating Machine, Model 660 (40). 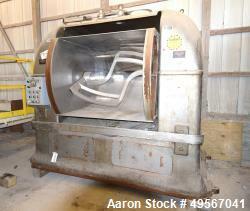 Used- Arcall Coating Machine, Model 660 (40), Stainless Steel. 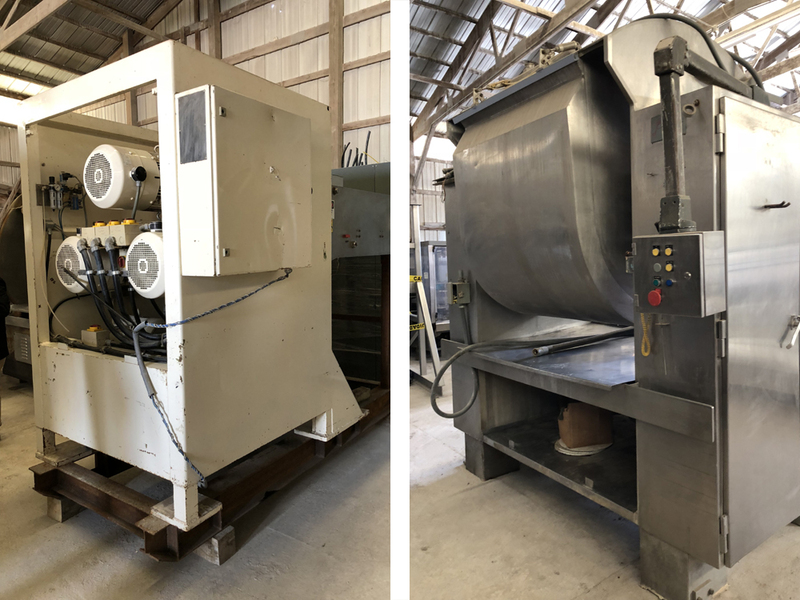 Top & bottom coating, 45" wide x 120" long stainless steel mesh belt. Mounted on a stainless steel frame with casters. Serial# 8743. Built 1995. 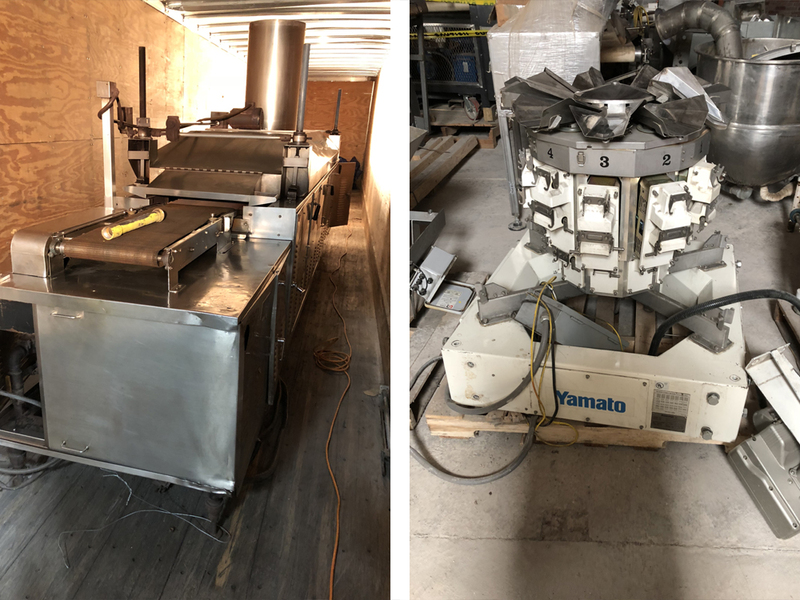 Used- Werner 390 Rotary Moulder. 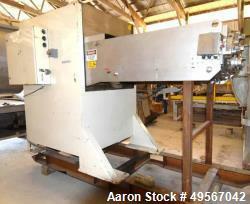 Used- Werner 390 Rotary Moulder. 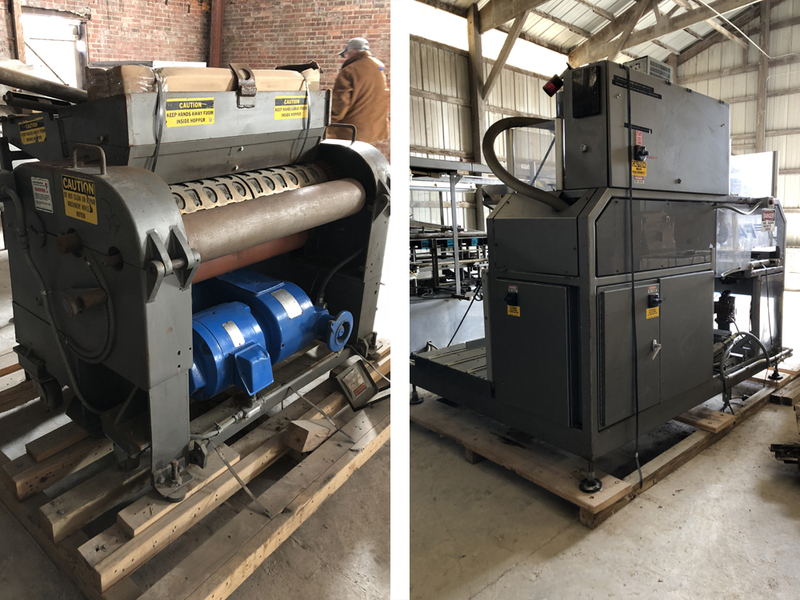 Machine width approximate 39", nominal roll speed 7-20 rpm. Top hopper. Driven by a variable speed motor. Rebuilt by Weidenmiller, 2006, serial# RM1771. Includes (16) miscellaneous pattern rolls. 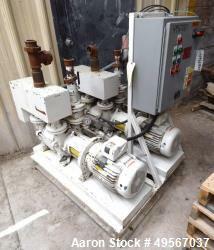 Used- Ishida CCW-R-214W-1S/70-PB 14 Head Combination Scale Parts Machine. 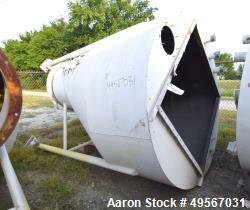 Includes a baskets of bucket and miscellaneous parts. 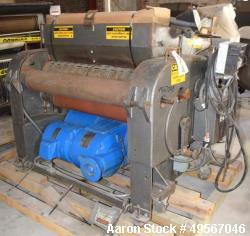 Used- Combi TBS Automatic Top & Bottom Case Sealer. 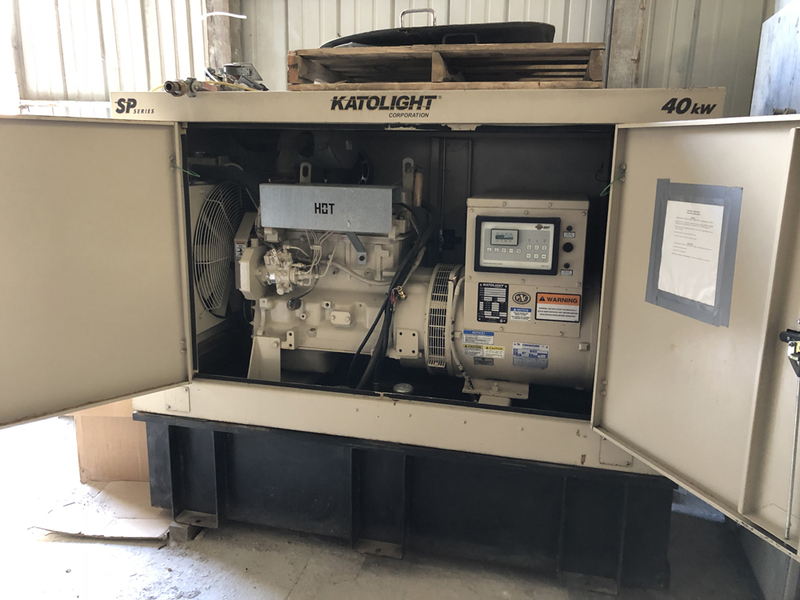 Capable of speeds up to 30 cases per minute. Case size range: (length) 4-1/2" to 24" (width) 4-1/2" to 20" (height) 5" to 24". With side belt grippers, tape heads and automatic flap closer. Serial# TBF118819. Uses 2" tape. 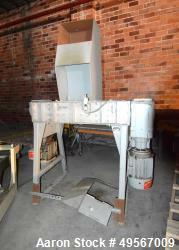 Used- Goring Kerr Tek-21 Metal Detector. Approximate 24" wide x 10.5" tall aperture opening. 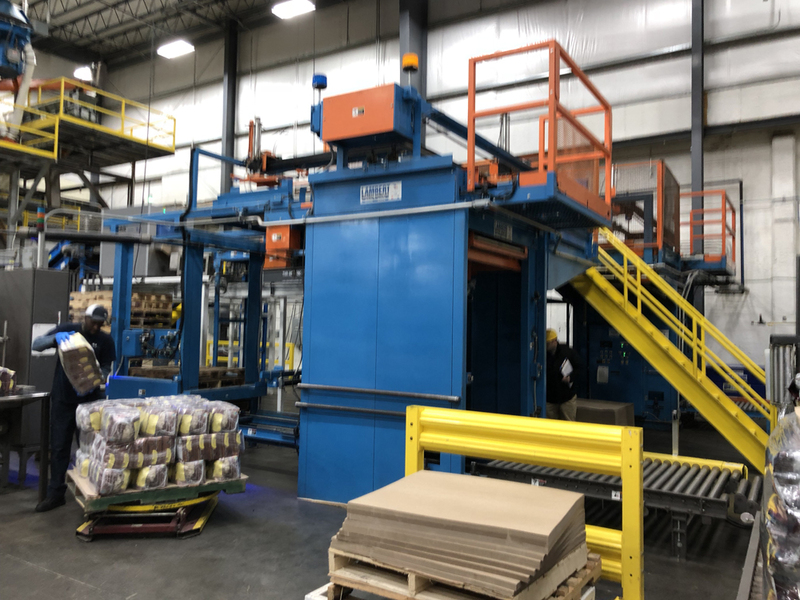 Mounted on a 20" wide x 96" long plastic belt conveyor with air reject. 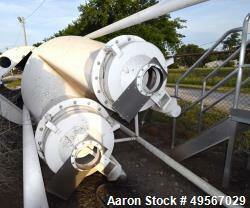 Missing drive motor for conveyor. 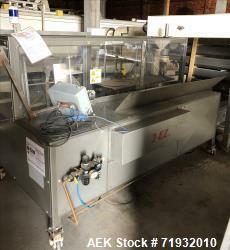 Used- Combi Model 2EZ Case Erector Sealer. 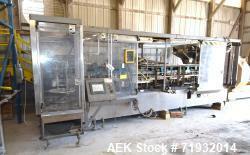 Used- Combi Model 2EZ Case Erector Sealer. 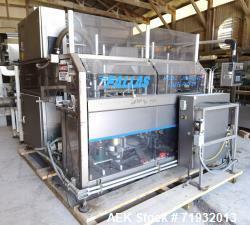 Machine is capable of speeds up to 12 cases per minute. Has a case size range of: 6" to 20" (long) by 4-1/2" to 16" (wide) by 4-1/2" to 18" (high). Serial# EZ59848. 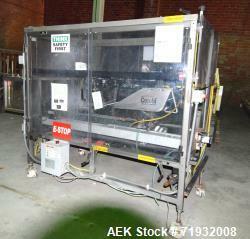 Used- Bosch-Doboy Model 7510 Single Head Tray Former. 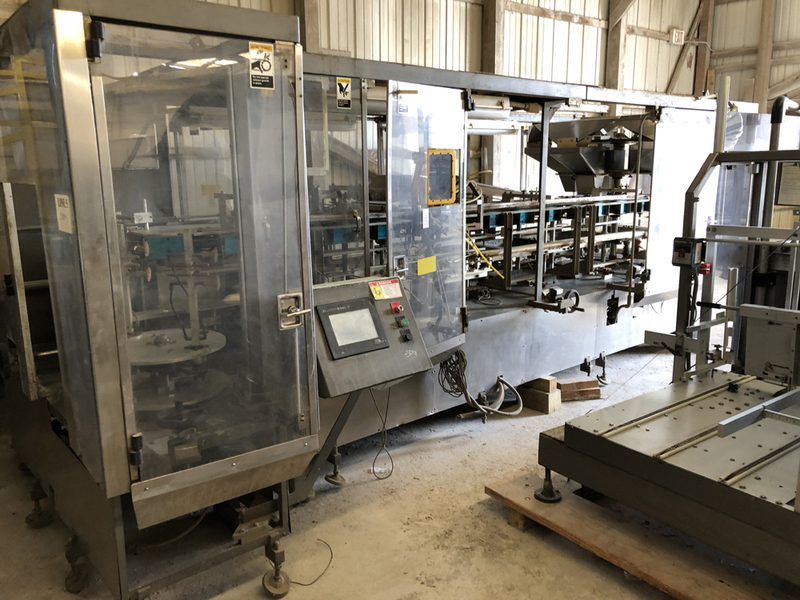 Used- Wepackit Machinery 250 CE Auto-Bottom Carton Erector. Carton size range Minimum 3" x 3" x 3", maximum 17" x 13" x 13". 220/3/60. Serial# 250CE-2885.